Which Beatle is this? My first thought was George but then I look again and think Paul (brown jacket). I think I am sticking with Paul. How about you? It's George in his Mini. Sara, I don't think that's Paul. It could be Ringo... I have a few photos like that, which I didn't use for my book. George 1968ish. I was there. It looks like George to me! I was torn between Ringo and George. I blew up the photo and still couldn't figure it out for sure. But if most people think it's George, then it must be. By the way, I was there at that time too. It’s so George. Too skinny for Ringo. The eyes have it!! It could even be John if you look close in...strange..its all 4...!!! 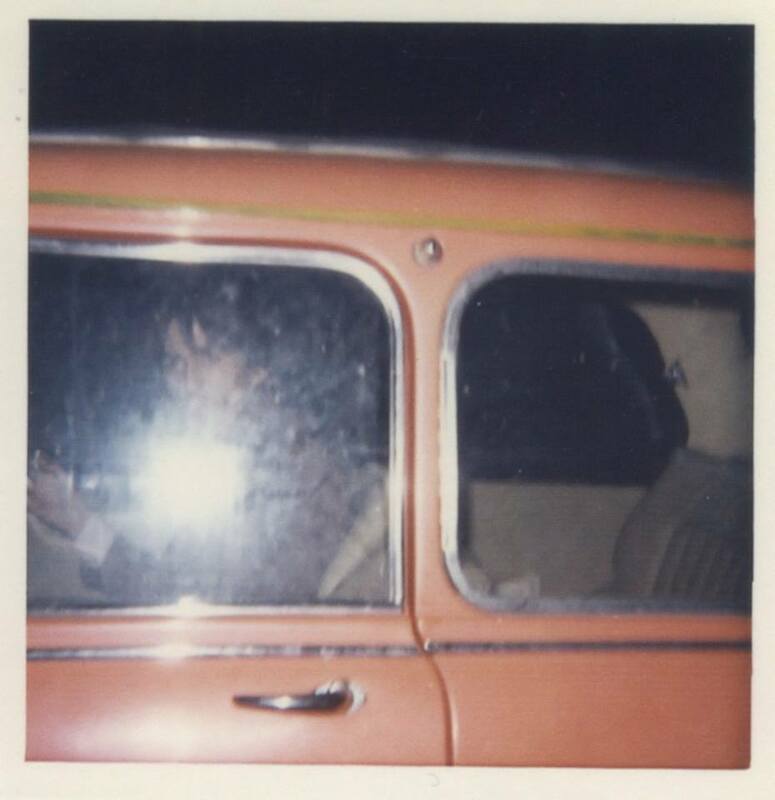 I think its George...its a strange photo thats for sure!